Building credit from scratch can seem like a Catch-22. Without good credit, you won’t qualify for many of the best credit cards. But if you don’t have a credit card, it’s difficult to build good credit. How do you deal with that conundrum? By getting a basic credit card as your first credit card and building good habits that will improve your credit score. These include paying your credit card and other bills in full and on time each month, using less than 30% of your available credit, and fixing any errors on your credit score, according to FICO. The good news is that there are plenty of options for credit newbies in search of their first credit card. They include cards for people with no credit history, students, and the Holy Grail of credit card perks: rewards. To get over the first hurdle of obtaining your first credit card, focus on finding a card that specializes in helping people build credit. Most starter cards don’t have an annual fee and have limited rewards, but you’ll get to those soon enough as you begin building credit. This card starts with what beginners should put at the top of their credit card wish list: no annual fee. Cardholders save money by not paying an annual fee — which is often used to help credit card companies offset the cost of rewards points — something those looking to build their credit don’t need yet. The card allows users to build their credit steadily, and after making the first five payments on time, you get access to a higher credit line. This is another card with no annual fee. You get a $20 statement credit each school year your GPA is 3.0 or higher for up to five years. The card offers 5% cash back rewards in different categories each quarter such as gas stations, grocery stores, restaurants and more. All other purchases get 1% cash back. You must opt-in to the quarterly rotating cash back programs, and the 5% category is capped at $1,500 in spending each quarter. This card is another good option for students who are starting to build their credit. In addition to the Good Grades Rewards, they can earn 2% cash back at gas stations and restaurants on up to $1,000 in combined purchases each quarter. They also earn unlimited 1% cash back on all other purchases. There is no annual fee. With an annual fee of $39, this card gives people who are building credit the same 1.5% cash back on every purchase they’d get from another credit card from Capital One if they had excellent credit. If the first five monthly payments are made on time, cardholders receive a higher credit limit. If you’re rebuilding your credit, this secured Mastercard with no annual fee should help. A secured credit card requires a refundable deposit in exchange for a credit limit. Most credit cards are unsecured. This card requires a $49, $99 or $200 refundable deposit based on your creditworthiness. The more money you deposit, the higher the credit line, which increases after making the first five monthly payments on time. The Capital One® Platinum Credit Card is a good unsecured card for beginners because it doesn’t have an annual fee and, like a few cards for beginners, gives access to a higher credit line after making the first five payments on time. Unlike a secured card, an unsecured card doesn’t require a refundable deposit. Credit is offered to you without any collateral. The card has a high annual percentage rate, or APR, of 26.96% (Variable). But once you start building your credit, you should be able to apply for and receive credit cards with more features and lower interest rates. The Capital One® Secured Mastercard® is ideal for those looking to rebuild a damaged credit score, or for those who have no credit history at all, start building one. With your first five consecutive on-time payments, you’ll earn access to a higher credit limit. As explained above, this card requires a deposit in exchange for a credit limit. The deposit is refunded when you close the account. It differs from a prepaid card in that, as a secured card, it reports to the three major credit bureaus so you can build your credit with responsible use. Prepaid cards are more like debit cards and aren’t reported to the major credit bureaus. Most students have little or no credit history. Students trying to get their first credit card may like this option because of its statement credit for good grades and cash back rewards. 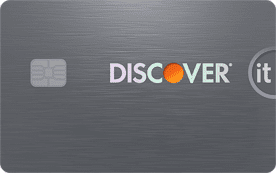 The Discover it® Student Cash Back can fit in a student’s budget, with no annual fee and an introductory rate of 0% (6 months) on purchases. After six months, the standard variable purchase APR applies and will be determined by your creditworthiness at the time of application. Cardholders will also receive access to a free FICO Credit Score, perfect for those who are new to credit and learning to monitor and build their score. It can be difficult to find your first credit card that offers a low interest rate. 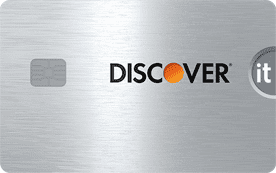 The Discover it® Secured has a rate slightly lower than similar cards, at 25.24% Variable. If you’re a member of a credit union, you may be able to find a credit card with lower rates there. 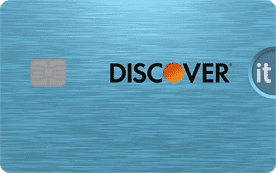 The Discover it® Secured requires you to provide a refundable security deposit of $200 to $2,500. Pay your bill on time, and your credit score will likely increase because Discover reports payments to the credit bureaus. Most secured cards, such as prepaid credit cards, don’t and won’t improve a credit score. For credit card beginners with not much of a credit score, getting the 1.5% back the Capital One® QuicksilverOne® Cash Rewards Credit Card offers on all purchases is better than what most rewards cards for beginners offer. Spend about $217 per month — or $2,600 per year — with the card and the earnings will pay for the annual fee, according to Wallethub. Spend more and the rest of the rewards cash back is yours to keep. There’s no limit to the amount of cash back you can earn, but beware — overspending to earn rewards is a dangerous game if you can’t pay your bill off each month. Credit card beginners who haven’t had success getting a credit card should have higher approval odds in opening a Fingerhut credit account. Fingerhut can help build credit by reporting customers’ payment history to the three major credit bureaus. The account has no annual fees, membership fees or over-limit fees. Fingerhut is a retailer that offers credit to people making purchases through monthly payments. While getting approved for the card may be easy, its APR is high, and products sold by Fingerhut may cost more than they do elsewhere. We don’t recommend the card for carrying a balance, but when paid off monthly and on time, it can be a great tool for building a positive credit history. Choosing which credit card to apply for as you start your path to credit can be a little tricky. You’ll want to select a card that fits your budget — such as starting with one without an annual fee — and that you’ll likely get approved for with little credit history. Some cards have benefits aimed at students, while others are aimed at people with low credit scores or no credit at all. But don’t be discouraged by this. Most people can find a credit card that fits them, even if they’re a credit beginner, and they can build their credit score over time to move up to a better card. How Do I Choose and Apply for My First Credit Card? When deciding which credit card you want to apply for as your first credit card, start by researching and comparing cards to see which best fit your needs. Annual fee. No annual fee is best, but if you want rewards, a fee of $25 to $500 is typical, depending on the card. Remember that any rewards will be offset by the fee, so you’ll need a minimum amount to spend each month to reach that level. Some cards start with no annual fee but then add one in the second year. Interest rate. Expect interest rates of up to 26%, which is very high. Avoid paying interest by paying your credit card bill in full each month and on time. Rewards. Cash, flights, and hotel stays are some of the rewards you could get. Just remember that if you’re not paying your bill in full each month, the interest you’re paying is negating the value of these rewards. Fees. Read the fine print in the contract — which is available online and should be read before you submit an application — and see how much the late fees, balance transfer, cash advance, foreign transaction, and other fees are. Credit limit. Experian reports that the average first credit card limit is about $1,800. Try to limit your monthly credit usage to 30% of your limit — in this example, below $540. This will keep your credit utilization rate low, which will improve your credit score. Because it’s your first card, your main goal should be using it to build credit, not to earn rewards so you can take a free or discounted vacation. Those can come later after you’ve improved your credit score to 670 or higher. Then, credit card companies will seek you out with offers for rewards cards. The easiest way to apply for credit cards is online. If you’re worried about paying bills on time, seek a card with a low annual percentage rate. If you don’t think you can control your credit card spending, get a secured card. Creditors will look for a steady, verifiable income, so be sure you earn enough to repay the balance. If you’re under age 21, federal law requires you have an income before being approved for a credit card without a cosigner. Which Credit Cards Can I Get with No Credit? Having no credit doesn’t mean you can’t get approved for a credit card. Just remember that because you’re new to establishing credit, a creditor will want verifiable proof of a steady income to support the credit limit it’s providing. Pay stubs should be enough to get a credit application moving. And know that a credit card for someone with no credit will likely have a low credit limit, possibly as low as $200, but probably $500 to $1,000 to start. As you make your monthly payments on time, even if you keep a revolving balance, this limit can be increased either automatically or at your request. You’re also unlikely to get a credit card offering the best rewards when you have no credit, though some cards for beginners offer some level of rewards. A secured card may be the easiest way to get a credit card if you have no credit. This requires paying a refundable deposit of $200 or more to get a credit limit that can increase as you pay the bill on time over the first year as a cardholder. From there you can hopefully get an unsecured card that has lower interest rates and better benefits. How Do I Use the Card to Build Credit? The best thing about getting your first credit card may be the ability to buy things before you have money for them. Pay your bill on time and completely each month, and this isn’t a problem. If you don’t follow this golden rule of building credit, your credit score will drop. Maintain low credit utilization. This is a fancy term credit card companies and credit agencies use for how much of a credit limit is used. Using up to 30% is best to improve a credit score, e.g., if you have a $2,000 credit limit, then don’t charge more than $600 per month. Keep the card active. It’s unlikely you’ll forget to use your new card, but if it remains dormant for an extended period your card issuer may cancel it. Regular use can improve a credit score, so set up a monthly recurring payment to be paid automatically on the card, such as Netflix or another subscription. Keep the account open for years. Length of credit history makes up 15% of a FICO score, so it’s worthwhile to keep your first credit card open for a long time. Managing a credit card for years shows you’re less risky than someone without a long credit history. A card with no annual fee is best. Set up fraud alerts. Most credit cards have apps to alert you if a high amount is charged on your card, such as $500. You can set the amount and even be alerted if any amount is charged so you’ll know if anyone else has your card number and is using it. Check your credit report. Federal law allows consumers to check their credit reports for free annually. It’s simple to do online and can help you spot identity theft early by looking for unauthorized charges. It’s a good habit to start with your first credit card. The higher the credit score you have, the more likely you are to be approved for credit cards with better rewards, and you’ll likely be approved for loans at the best interest rates available, saving you thousands of dollars over your lifetime. A low credit score can make it difficult to get more credit and loans, which you may need someday to buy a car or house. How Many Starter Cards Should I Apply For? Getting your first credit card is exciting by itself. It may tempt you to apply for more. The more the better, right? If you can build your credit with one card, you should be able to build it higher and faster with more cards. Not so fast. You may want to wait at least six months before applying for more credit cards so you can establish good habits with your first card and show you’re using it wisely and paying the balance on time each month. Make sure your first card isn’t leading you to overspend. Once you’ve had your card for a while, maybe only just a few months, you may start to get offers from other credit card companies. Research them carefully for interest rates, fees, and other important features before deciding if you want to apply. FICO, the main credit score company, calculates new credit as 10% of a credit score. Opening many new accounts in a short period of time is seen as risky and that you’re desperate for money. Applying for a credit card results in a hard inquiry by an issuer who pulls your credit report from a credit bureau. 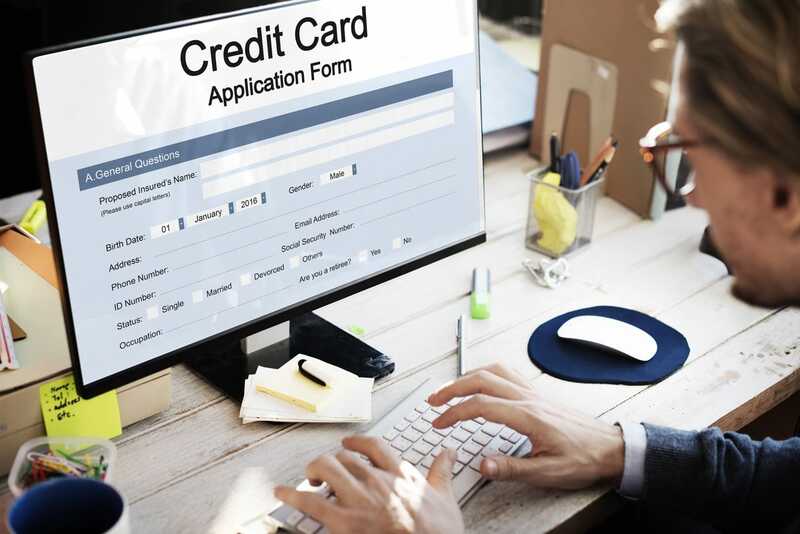 This can cause a credit score to drop up to five points, which isn’t much, but can add up if you apply for a number of cards at the same time. Instead, wait a few months between applications. Hard inquiries stay on a credit report for two years, but the FICO scores ignore them after 12 months. Opening new credit cards will also reduce the average age of your accounts, which can also drop a credit score. Length of credit history accounts for 15% of a credit score. So how many starter cards should you apply for? One is a good start. Apply for one at a time and see if you’re approved or denied. Online applications can give you an answer within minutes. If you’re denied, go on to the next card. Once you get your first card and use it well, wait one year before applying for a second card. Once you get your first credit card, you’re on your way to building a credit score that will follow you for the rest of your life. That’s an ominous consideration, but the difference between a credit score of 670 or less and one near 800 can mean saving thousands of dollars on loans, getting offers for better credit cards with better rewards, and even being approved for a cellphone contract or an apartment lease. Doing many of the things we’ve talked about here, including paying bills on time and in full each month, not using more than 30% of your credit limit, and checking your credit report once a year, should get you on the road to building a positive credit history. Having credit is a lot of responsibility, but one that’s worth taking care of so your financial future will be a lot easier. Aaron Crowe is a seasoned journalist who specializes in personal finance writing and editing. Aaron has written for a variety of websites, including AOL, Learnvest, US News & World Report, Wells Fargo, WiseBread, AARP and many insurance and investing sites. He is a former newspaper editor and reporter, and can be found at his website AaronCrowe.net.